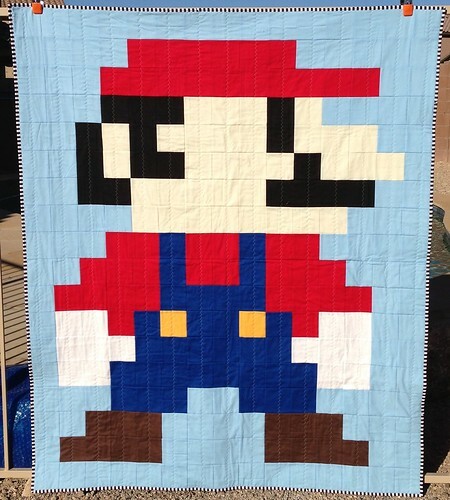 For the final nephew quilt of the year, I made an 8-bit Mario. It was made similar to the Sonic quilt but with larger pixels. It was bound with a simple black and white stripe and backed in a wild orange flannel. 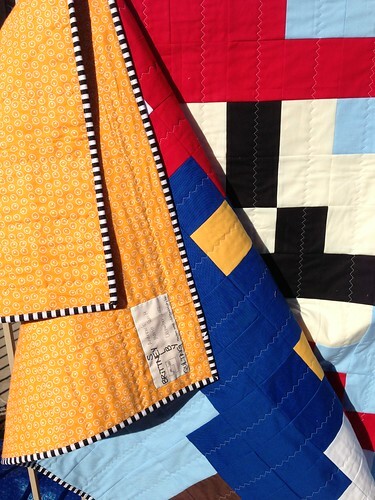 I have a feeling that this will be the most coveted of the nephew quilts. It especially is by Derek.